Kulfi confused about what should be done, she sits near Bhola and says Ama asked me to go home, but what about kids here, they think I will help them meet their families, if I stop I can’t meet my Baba, also I can’t break their trust, and I miss my Baba too, what should I do, Kulfi sees a ballon, Bhola tries to get it for her, but it flies away, Kulfi says Bhola I’m leaving take care of yourself and other kids. Sikander asks lovely where is Kulfi, lovely says please tell me where is amyra, let me see her once, I will do anything, sikander asks where is Kulfi, lovely says I will tell everything but let me see amyra, sikander says this won’t work,and leaves. Bhola tries to stop Kulfi, Kulfi says even I like you but I have to go to Baba, why is everyone trying to stop me,I miss my baba like you do and walks away talking to herself, Kulfi feels very bad, and prays god to give her some sign, she sees door open and rushes out of it. Kulfi gets out and sees sikanders poster and starts smiling and says I found my sign. Sikander puts amyras picture in the room and says this will remind you how worst you are,hands her bunch of notebooks and says write on each I’m the worst mother in the world, and says every notebooks gives you one minute to talk to amyra, and it should be readable, Lovely starts writing. Ama assembles everyone in the room, and says I offered 186 to forget you all and go home and she did, she didn’t chose you but herself, and you guys thought she is your friend, it’s stupid to trust, friendship is just in books,look she broke your trust, Kulfi rushes in, kids get very happy. Lovely crying finishes one book, sikander says don’t stop, who are you tell me, Lovely says the worst mother. Kulfi remembers a story narrated by Sikander where princess went back to her castle to save monkey from the monster, Zinda says why did you come back, you wanted to go home, Kulfi says yes I did but your family time was cancelled because of me,I will surely go to my dad and you won’t be able to see your parents because of me I can’t let that happen, kids happily hug Kulfi, Kulfi wipes their tears, Ama very angry. Sikander takes back books from lovely, and says you worth two books is your time starts Niemeyer in,y two minutes to see amyra, lovely rushes to amyra. Amyra asleep, lovely whispers I’m sorry baby, sikander pulls her out and says time up, Lovely falls in his feet and says please let me see her for some more time, I beg of you, sikander says okay, you can but on,y when you give me kulfis address, lovely says no, sikander doesn’t allow lovely and says I would allow but since you said no you won’t get second chance so easily. Ama says kulfi I was testing you and you proved yourself, there will be family day, all cheer for kulfi, Kulfi thanks Ama, kids very happy and hug eachother. Sikander throws lovely back in the room and locks the room. Sikander missing kulfi. He looks at amyra and remembers happy times when she was all well. Bebe walks to Sikander, Sikander says I know you would ask why am I so harsh but trust me I want to trouble her to that extent that she will tell me where my Kulfi is and keep my babies away from that devil. Bebe says Sikander I have no question for you,but what you are doing is very correct, because of Lovely amyra is bed ridden and kulfi missing, and I’m sorry we hide the truth that kulfi is your daughter but I’m proud you didn’t give up, what you are doing is very correct, sikander says Bebe says wrong right forget it, I will continue it till I feel me amyra and kulfi have found justice. Kulfi sleeping says baba I miss you but I’m doing it for my friends here and I know you would be very proud of me, Kulfi falls asleep. Amyra gets an attack. Pre cap : Doctor tells Sikander that they won’t be able to save amyra, amyra hears it. Kulfi and other kids decide to run away. 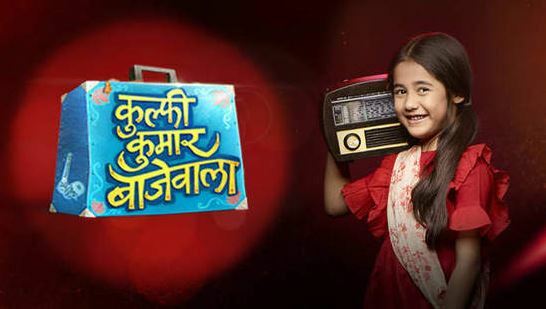 The post Kulfi Kumar Bajewala 13th March 2019 Written Episode Update Kulfi passes Amajis test. appeared first on Telly Updates.